Lightweight headset with dual-sided earphones. HC6 mic element has -3dB points at 100 Hz and 12 kHz with sensitivity of -57dB at 600 ohms output impedance. 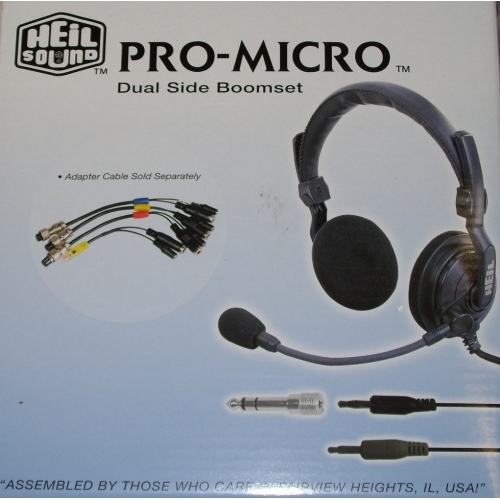 The mic terminates into a 1/8" mono male plug and the headphones terminate into a 1/8" stereo plug with 1/4" stereo adapter. Use with AD-1 adapter, sold separately, to interface to various rigs.